Each year, Atlanta hosts the crowning of an annual champion from the toughest conference in college football. This weekend however, Georgia’s capital will crown a new champion from the toughest road in competitive Halo as the HCS Summer 2017 Finals by ESL gets underway at DreamHack Atlanta, July 21-23. Today, we look at some of the top storylines surrounding pro Halo teams on both sides of the pond, as North American and European Pro League teams clash with outstanding Open Circuit squads to claim not only Summer Season glory, but the lion’s share of a $200,000 prize pool. 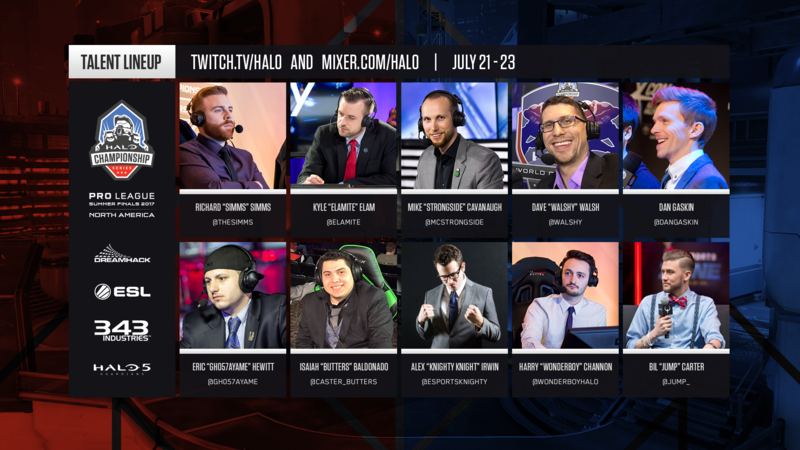 The action kicks off on Friday, July 21, and you can catch it all on Mixer.com/Halo and Twitch.tv/Halo, with Sunday’s Grand Finals also being featured on Twitter and Facebook.com/Halo. Check out the full broadcast schedule below for each day’s start times. Let’s take a look at some the high-stakes narratives you’ll want to keep a close eye on, infused with invaluable insight from Michael “StrongSide” Cavanaugh and Richard Simms. After the retirement of Brett “Naded” Leonard following the HaloWC 2017 tournament in March, Evil Geniuses sought out young new talent in Josbe “Tapping Buttons” Valadez. 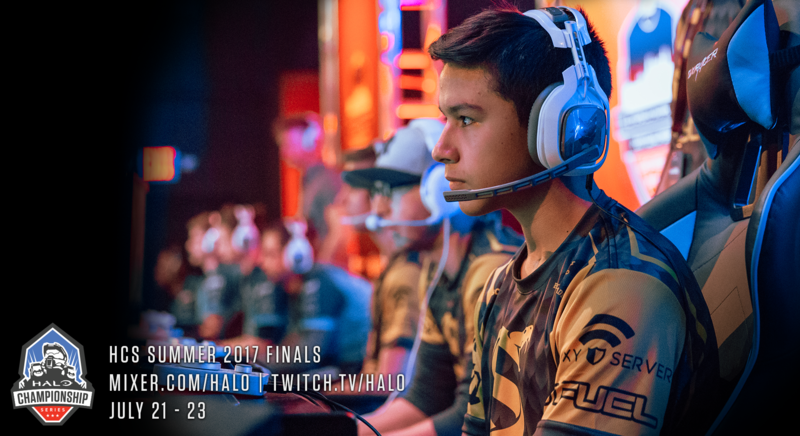 Hailing from from Mexico City, Tapping Buttons made his debut into competitive Halo early in 2017 at the HaloWC Mexico City qualifier, leading his team to a first-place finish to qualify for the HaloWC 2017 Finals in California. Although he would unfortunately miss the Finals event due to travel complications, his talent did not go unnoticed by Halo veterans Roy, Lunchbox and Ogre 2. Josbe was the first player from Mexico to enter the NA Pro League and did so alongside two of the most iconic competitive players in Halo’s history, Roy and Lunchbox. During the HCS Pro League Summer 2017 season, Evil Geniuses took top-tier teams Splyce, Team EnVyUs, and Team Liquid each to Game 5 series’ but EG fell short in all three matches in the final moments. Now with some experience under Josbe’s belt he prepares for the most important tournament of his career. Evil Geniuses currently holds the 5th seed going into HCS Pro League Summer Finals at DreamHack Atlanta and look to break back into the Top 3 and revitalize their legacy. This young all-star squad has been putting in some serious practice time and passionately battling to be the best team in the world. Before the season kicked off Splyce picked up slaying machine, Jonathan “Renegade” Willette, a move that quickly paid off as Splyce would win their first 5 matches defeating Team Liquid and Team EnVyUs along the way. The only team to put a stop to their run was none other than OpTic Gaming. Over the course of the Summer 2017 season, Shotzzy and squad won four of their seven matches by a 3-0 sweep, and ended the season with a 6-1 record overall, tied with OpTic Gaming at the top of the standings, separated only by map win percentage. Splyce currently holds the 2nd seed going into the HCS Pro League Summer Finals, and arrives in Atlanta with a fire burning in their eyes as they look to bring home their first overall event win. Shotzzy looks to help lead Splyce to their first major Halo event win. Going into the Summer 2017 season, Team EnVyUs was primed up after their remarkable HCS Daytona victory. However, the Boys in Blue didn’t show up like we’ve seen in the past throughout the regular season. Team EnVyUs lost three of their seven matches, falling to Team Liquid, OpTic Gaming, and Splyce. In a surprising five-game series against Str8 Rippin to close out the season, Austin “Mikwen” McCleary mentioned that bad communication has haunted their team since their squad’s beginnings. “Someone might be too loud, a player won’t say enough, someone might be too hectic, it’s the story of this team. We’ve always had communication issues.” Mikwen stated. nV holds the 4th seed going into the HCS Pro League Summer Finals and this veteran squad looks to make amends by showing up like they did at HCS Daytona. Once more, OpTic Gaming remains the most consistent team throughout Halo 5. Going into the season fans expected a lot out of the Greenwall. OpTic had just been defeated by Team EnVyUs at HCS Daytona, with revenge on the minds of not only OG’s players, but also their fans. The team started off the season strong with a quick 3-0 sweep against Ronin Esports leading into their rematch against Team EnVyUs. When the Week 2 showdown arrived, Snip3down and crew picked up right where they left off and took a dominating 2-0 lead in the series. However, late in game 3, the Greenwall kicked it into high gear pulling off an impressive reverse sweep in one of the greatest comebacks in the season. OpTic Gaming continued through the season by winning five of their seven matches 3-0 only losing to Team Liquid, and head into the Summer Finals as the unsurprising #1 seed. The Summer 2017 season was a heartbreaking one for Str8 Rippin and their fans, as the squad was unable to win a single match throughout the season, finishing with a 0-7 record. Str8 Rippin opened up many of their series by winning Game 1 but would inevitably fall apart continuing through the match. Through it all however, Str8 has continued to battle, trying any and every avenue looking to find success and recapture their former glory. Str8 Rippin currently hold the 8th seed and will be battling through relegation to hold onto their HCS Pro League spot at Dreamhack Atlanta! With a bumpy start to the Summer 2017 season, Team Liquid fell to a 1-2 record early on, forcing the team look at a bold roster change to bring some life back to squad. And who better the Halo 4 Global Champion, Ace. After Team Liquid traded Rayne to Str8 Rippin for Ace, the move immediately paid off with a 3-1 series victory against rivals Team EnVyUs. After the win Ace said, “This is the most comfortable I’ve felt out of every Halo team I’ve played on.” Without a doubt, Team Liquid’s new roster is shaping up to be a deadly force at the HCS Pro League Summer Finals at Dreamhack Atlanta, where they open up as the 3rd seed. Luminosity also had a rough start to Summer 2017 season, opening with an 0-2 record. However, in Week 3, Victory X laid down some massive numbers and clutch kills to bring their team a win over Team Liquid. But in the end, it wasn’t enough as Luminosity made a roster move to drop Victory X and pick up aPG from Str8 Rippin. Luminosity finished the season in 6th seed barely escaping relegation and looks to put in a ton of practice before the HCS Pro League Summer Finals at DreamHack Atlanta. Ronin Esports hasn’t performed to their standards this season, even after a roster change – dropping Carlos “Cratos” Ayala for Visal “eL ToWn” Mohanan. Even with this change, however, Ronin have still failed to deliver in clutch moments, dropping a host of close games and ultimately finishing the season with a 1-7 record. They are headed to relegation at the HCS Pro League Summer Finals to battle against top tier Open teams that are hungry to take over their spot in the next season of the NA Pro League. The top team in France once again finds itself back on North American soil, and are the only European team to retain its Halo World Championships 2017 roster. With a beast of a team captain in the form of SLG (arguably the best sniper to come out of the EU for quite some time) leading a fantastic overall roster, Supremacy can easily threaten the Top 8 Atlanta if all four players click at the right time. Infused is arguably the #1 team in all of Europe, though they are followed very closely by their rivals at Invictus. In Week 3 of the EU HCS Pro League, Infused acquired the best player in EU right now; Brandon 'Respectful' Stones, instantly turning the team into a true powerhouse. With Snakey at the helm backed up by Kimbo and Quad with the addition of Respectful, this team has a ton of personality, but most importantly, this team has some killer slaying ability. With several Top 8 NA placings Brandon has high expectations for this team. Parting ways with Mose is a bold move, but joining forces once again with former teammates Kimbo & Snakey brings together three incredibly talented 2016 teammates. Snakey and his teammates at Invictus look to prove their not just the best in Europe, but that they can compete with anyone in the world. With an exceptional roster in Ramirez, Jimbo, Snipedrone and Qristola, it’s the battle of EU for a vaunted Top 8 finish in Atlanta. 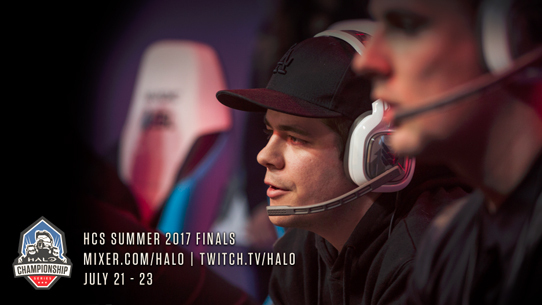 Jimbo is the only player outside of North America to place in the Top 8 at both Halo World Championship tournaments, proving his worth against the world’s best. 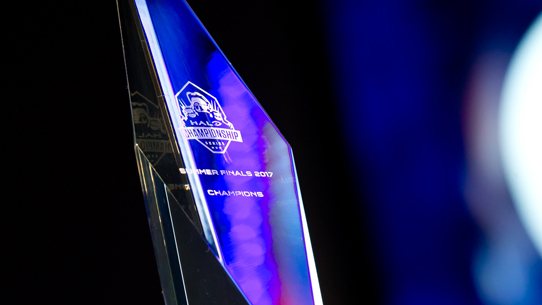 With Jimbo back with his ex-Epsilon partner Snipedrone, will we see more HaloWC 2016 magic happen? One of the most exciting things about this Vexed squad is the reality that they have nothing to lose and could quite easily sneak up on any team – from any region – who mistakenly overlooks this roster. When they’re on point, Mose and Morguhhh can slay like the best of them (but often at the high cost of too many deaths), and if Riotz and Lunny can complement the play style of their hyper-aggressive counterparts, some incredible upsets could very well be in the cards. In addition to the drama and intrigue of the pro teams, the open bracket looks to provide a wealth of storylines all its own. Earlier this week we caught up with three international players making their way over to the United States to compete – check out the full interview HERE. For all the latest information on event venue, format, prize pool, and more, make sure you check out our most recent update on how you can spectate, compete, or follow along online! Click the image below to check it out. 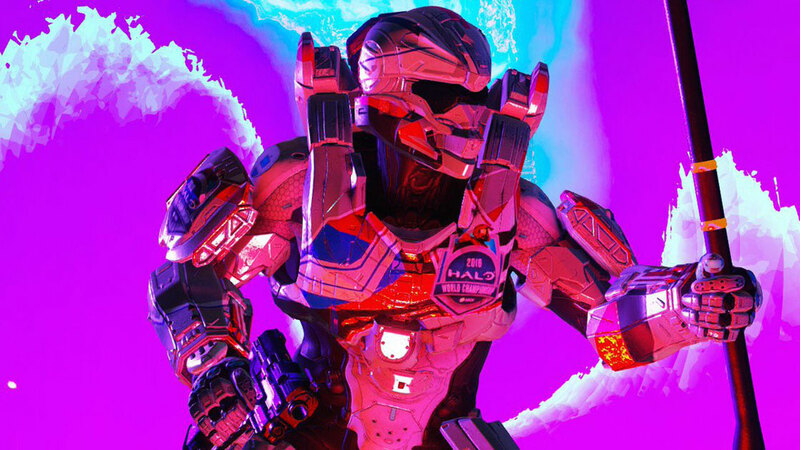 Suffice to say, the only thing that might be hotter than the Atlanta weather is the intense Halo esports action waiting to erupt at the HCS Summer Finals this weekend. We can’t wait for you to join us for all the action – see you there! 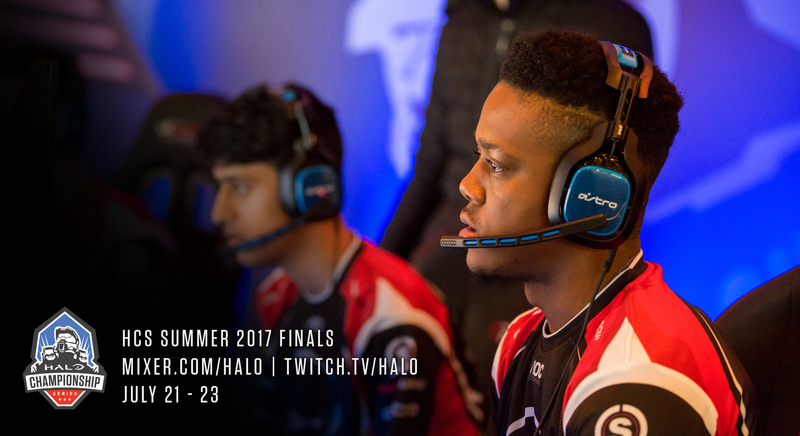 With the HCS Summer 2017 Finals at DreamHack Atlanta looming large this weekend, we sat down with three particularly intriguing international competitors heading to the HCS Summer 2017 Finals. Let’s see what their respective thoughts are as they prepare for battle at DreamHack Atlanta. The HCS Pro League Summer 2017 Finals at DreamHack Atlanta proved to be yet another incredible chapter in the storied annals of Halo esports. An outstanding weekend of epic competitive Halo came to a dramatic close as a new champion was crowned - congratulations to Splyce, who took down the titans at OpTic Gaming in the Grand Finals 4-2 to win the HCS Summer 2017 Finals at DreamHack Atlanta. This week, we closed the book on the final roster change period for North American HCS Pro League teams for the Summer 2017 season of play. Let's take a brief look at where squad lineups have shaken out as the dust still continues to settle.